In 2009 I had some professional videos shot for the website, which have had great results. You will have seen that over the summer I have been creating a fair amount of my own video content on my YouTube channel. I also had some more professional videos shot in August, with Mike Daly from greatvideo.co.uk. I believe there is a place for both types of videos, so I will continue to mix the two. My own videos started out with a stills camera that shot video, before progressing to other camcorders specifically designed for shooting video. With the videos I shoot myself they are mainly video blogs (vlogs) so a lower quality can be acceptable, whereas for the professional videos you would want these to be of excellent quality. Indeed, professionals have access to equipment costing much more than the private user would have. 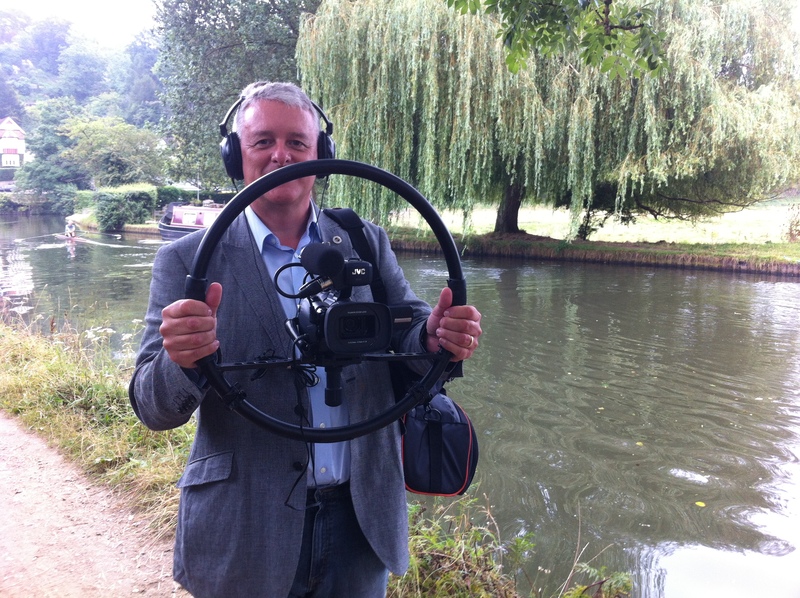 Mike turned up for our video shoot with this wheel (called a fig rig) to reduce camera shake. On its own, excluding the camera equipment, it cost many times more than my original simple pocket vlogging camcorder!